This is a small AddOn that I was working on since Insignias came out. 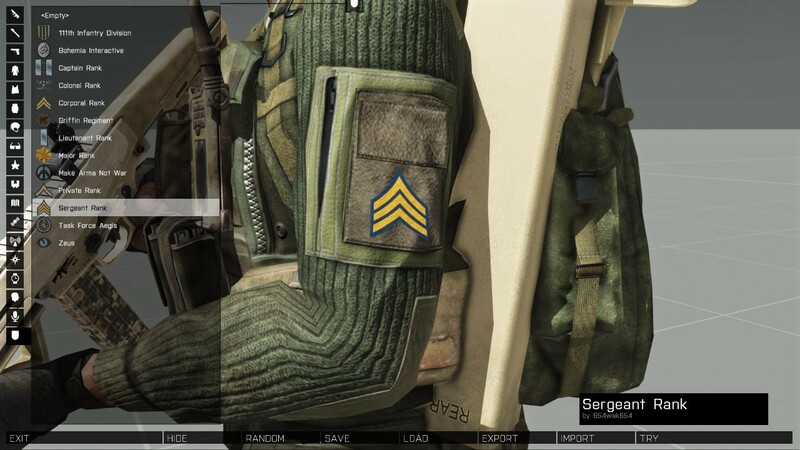 Basically put: It automatically adds rank patches to all infantry's shoulders using the insignias. Sure, it's not extremely hard to code, not super complicated to implement. It's not the best out there, but it's my original idea. 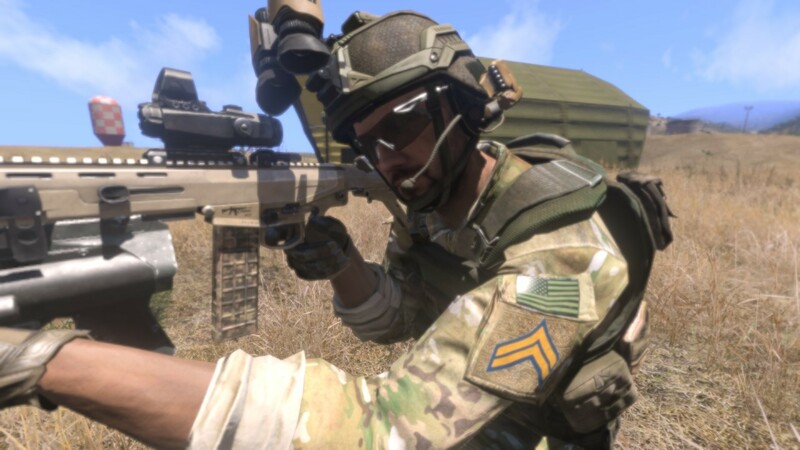 Simple Rank Patches is a AddOn for ArmA III where it automatically adds rank patches to all infantry's shoulders. Right now it has player only mod as a simple configuration, with more to come. By default the AddOn takes the rank data from the ranks in the game, it's all automatic and no extra preparation is needed. 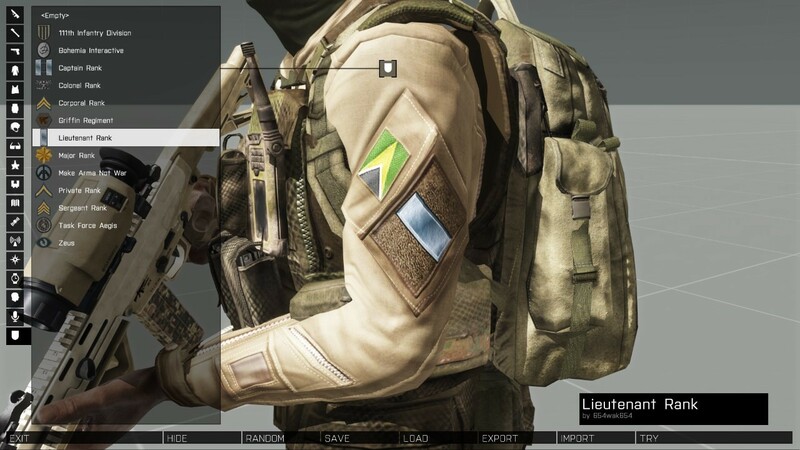 You'dd like to put the insignia system to a more dynamic use? Give it a try. Universal high-res images working on all camouflage patterns. 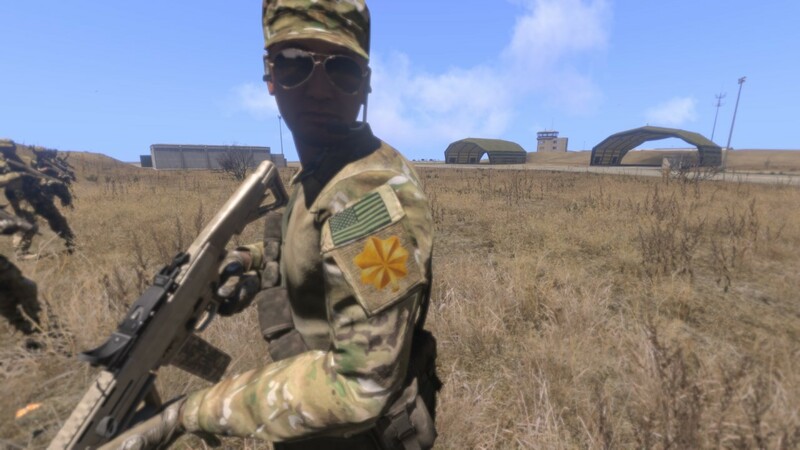 Other mod compatibility as long as the uniform/ unit mod supports the insignia system. 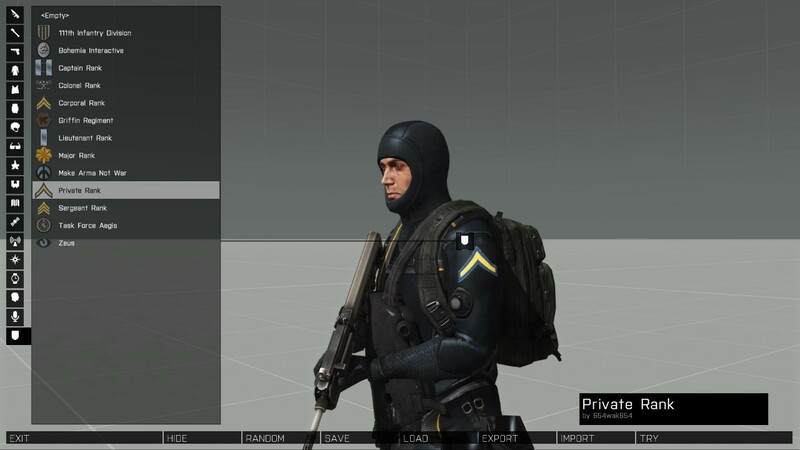 Variables for mission makers to to disable AI, or to disable the AddOn as a whole. Gettings player's rank data from a squad URL. Allowing players to use their own set of rank patches. Generally better scripting and higher performance. You can check the ArmAHolic page for more, and hopefully the contest will actually motivate me to improve Simple Rank Patches. I know that the amount of work Simple Rank Patches took is no where near some of the entries here (that I respect and look up to), I'm just entering the contest to show my little idea. Sure it might not be the million dollar idea, but I had fun making/ using it, and with MANW I can share that fun with a bigger crowd.